There are now 150+ subscription video on-demand services in the United States, with new announcements made every week. But launching a service and making money with it are two quite different things. 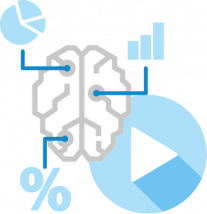 Therefore, online video providers are now turning their attention to increasing revenues, reducing costs and improving experiences by boosting their video business intelligence. The market for online video services is expanding quickly.